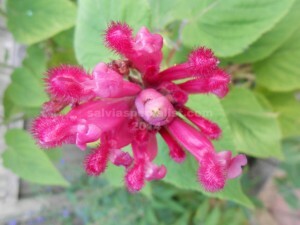 This salvia is one of the many involucrata look alikes, however they can be distinguished first perhaps by talking about their flowering time. Puberula is autumn/winter flowering. 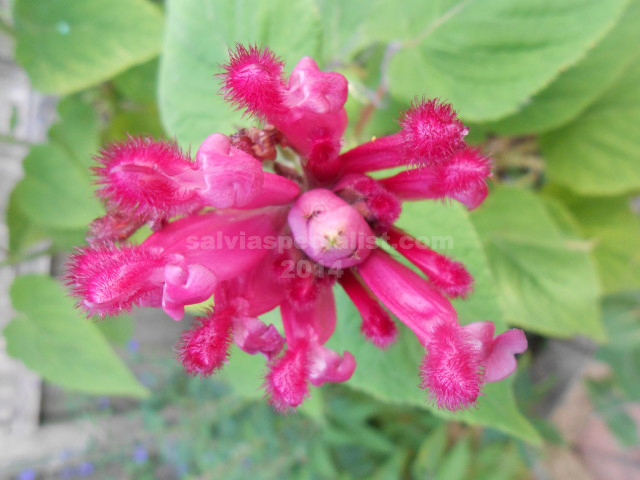 Involucrata ‘Bethelii’ is the most common of the group in Australia but it should flower before Xmas or earlier depending on when and if you you pruned it. Puberula is not as big as some of them, being about 1.5m and seemingly more shrubby than caney. Even specialist growers could mix up these plants so I would recommend getting them from a very experienced grower if you want to be sure to have the right plant.